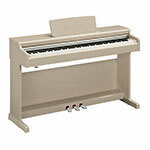 AC-CSP170B The Yamaha CSP-170 is focused on music fun and education. By scanning the songs in your smart devices music library, the CSP will produce a chord chart, a piano score, and will show you what keys to play and when with the intuitive Stream Lights feature. 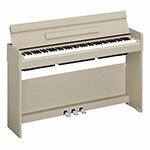 AC-YDP-163B The excellent choice for the developing student and the more experienced pianist. AC-CLP635B Be inspired and play with acclaimed Yamaha CFX piano and a Bosendorfer Imperial Grand built in to the Yamaha CLP635 Black piano. This stunning piano also has the GH3X escapement piano touch, acoustic optimizer and a quality selection of different instruments such as strings and guitars for an outstanding playing experience. Finance available. 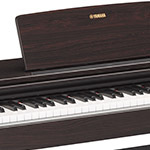 AC-YDP144R The Yamaha YDP-144 i Rosewood offers everything you need for a great piano experience. Compact design, graded hammer action, Yamaha CFX grand piano and app integration. Finance available. 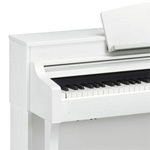 AC-YDPS34WA The Yamaha YDP-S34 White Ash has a compact design, fits into virtually any room and has all the features needed for the aspiring pianist. Finance available on digital pianos. 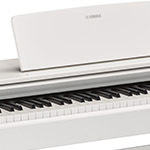 AC-CLP675WA The Yamaha Clavinova CLP675 offers truly stunning sound reproduction and advanced technology letting you enjoy the feel and tone of an acoustic grand piano with all the benefits of digital technology. Experience the Yamaha CFX or Bosendorfer grands in stunning detail. Finance available apply online today. 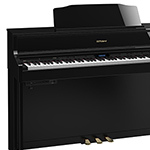 AC-CSP170PE The Yamaha CSP-170 is focused on music fun and education. By scanning the songs in your smart devices music library, the CSP will produce a chord chart, a piano score, and will show you what keys to play and when with the intuitive Stream Lights feature. 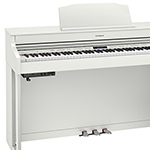 AC-CSP170W The Yamaha CSP-170 Satin White digital piano is focused on music fun and education. 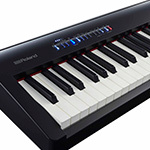 By scanning the songs in your smart devices music library, the CSP will produce a chord chart, a piano score, and will show you what keys to play and when with the intuitive Stream Lights feature. 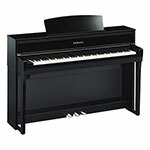 AC-CLP675B The Yamaha Clavinova CLP675 in Satin Black offers a truly superior sound reproduction and advanced technology letting you enjoy the feel and tone of an acoustic grand piano with all the benefits of digital technology. Experience the Yamaha CFX or Bosendorfer grands in stunning detail. Finance available apply online today. 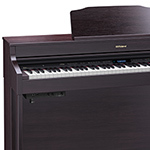 AC-CLP685B The flagship Yamaha CLP685 finished in Satin Black Walnut has the looks of an upright piano, the advantage of digital piano technology and the sound of a world class baby grand. 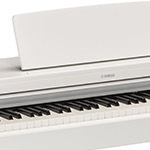 With the inclusion of the Bosendorfer Imperial grand, Yamaha CFX and also the additional SU7 upright piano, the CLP685 is the Yamaha home digital piano of choice for the dedicated pianist. 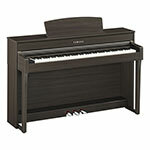 AC-CLP675DW The Yamaha Clavinova CLP675 in Dark Walnut. Feel and experience the tone of an acoustic grand piano with all the benefits of digital technology. Experience the Yamaha CFX or Bosendorfer grands in stunning detail. Finance available apply online today. 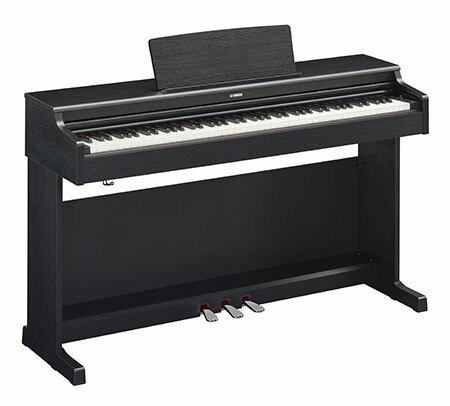 AC-CLP685PE The flagship Yamaha CLP685 finished in stunning polished ebony has the looks of an upright piano, the advantage of digital piano technology and the sound of a world class baby grand. 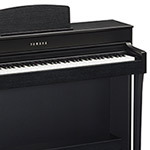 With the inclusion of the Bosendorfer Imperial grand, Yamaha CFX and also the additional SU7 upright piano, the CLP685 is the Yamaha home digital piano of choice for the dedicated pianist. 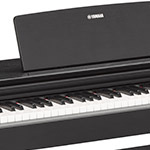 AC-CLP675PE The Yamaha Clavinova CLP675 in Polished Ebony offers a truly superior sound reproduction and advanced technology letting you enjoy the feel and tone of an acoustic grand piano with all the benefits of digital technology. Experience the Yamaha CFX or Bosendorfer grands in stunning detail. Finance available apply online today. 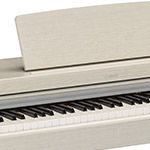 AC-YDP144B The slim and stylish Yamaha YDP-144 is a superb first digital piano. Finished in blcak it offers the Yamaha CFX grand piano voice along wiht a graded hammer action and Smart Pianist app integration. Finance available. 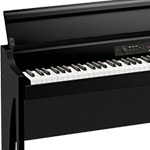 AC-YDPS34B The Yamha YDP-S34 black piano fits almost anywhere with its slim design. 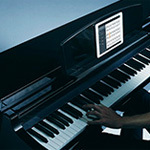 It offers up the amazing CFX grand piano sound, Smart PIanist app integration and is the perfect first digital piano. Finance avaiable on-line. AC-YDP164RW The Yamaha YDP164 Rosewood offers everything you need to start playing piano. The piano offers high quality sound and integration with the free Smart PIanist app making learning piano the most fun ever. Finance available. 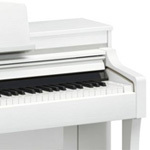 AC-YDP164WA The stunning White Ash finish YDP164 is the ideal starter piano. It offers App integration for fun learning at home combined with an excellent piano feel and advanced sound. Finance available. AC-YDP164W The Yamaha YDP164 in White looks as good as it sounds. 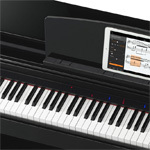 High quality piano feel, Yamaha CFX piano sound, App integration and a compact design for any home. Finance available. AC-YDP164B The Yamaha YDP164 is deigned to fit into the modern home with fantastic sound and looks. 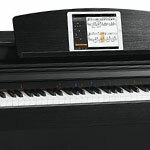 Its an ideal starter piano and integrates with the Smart Pianist app. Finance available. AC-CSP170PERF ExDem -The Yamaha CSP-170 is focused on music fun and education. By scanning the songs in your smart devices music library, the CSP will produce a chord chart, a piano score, and will show you what keys to play and when with the intuitive Stream Lights feature. 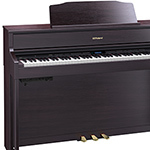 AC-CLP685BRF Refurbished Yamaha CLP685 finished in Satin Black Walnut has the looks of an upright piano, the advantage of digital piano technology and the sound of a world class baby grand. 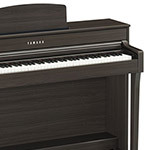 With the inclusion of the Bosendorfer Imperial grand, Yamaha CFX and also the additional SU7 upright piano, the CLP685 is the Yamaha home digital piano of choice for the dedicated pianist. 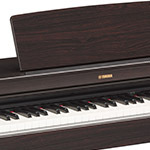 AC-CLP645R Yamaha CLP645 Rosewood Digital Piano. 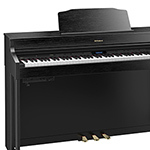 Yamaha CFX and the world famous Bosendofer pianos come as standard in the elegant and stunning digital piano. Finance available. 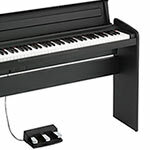 AC-FP30BLK Roland FP30 Portable Digital Piano - Black finish. Finance available. The FP30 is portable, offers Roland high quality superNatural sounds and comes equipped with modern features such as USB, audio playback and Bluetooth technology. 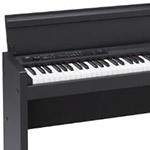 AC-F140RCB The Roland F-140R Compact Digital Piano Black is Bluetooth Compatible with Synthetic Ivory Key tops and Rolands High Quality Super Natural Piano sound engine. Call our Piano specialists for more information and our best price. 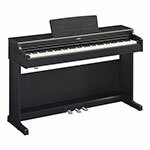 AC-RP401RCB Roland RP401R RW Digital piano in Contemporary Black finish with built-in Rhythms. 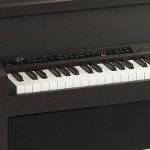 High quality digital piano focused on the learning or experienced pianist. This is the ideal choice for a young family looking to bring a quality piano into their home. 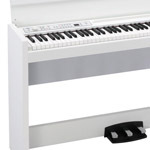 AC-HP603W Roland HP603-W Digital Piano in white. The HP603 is a stunning instrument with bluetooth integration for smart devices, SuperNatural piano technology and a classic design. 10 Years warranty and finance available. Speak to one of our specialists for more details. 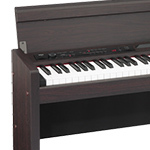 AC-HP605CR Roland HP 605 Digital Piano in Contemporary Rosewood. A premium quality digital piano offering a beautiful piano playing experience and integration with tablets and smart devices. An excellent choice for the home piano. 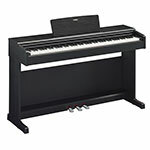 AC-HP605PE Roland HP605-PE Digital Piano with bluetooth technology and acoustic projection 6 speaker system. 10 Years warranty, finance available. 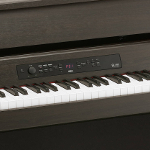 The HP605PE is a stunning choice for the home piano. 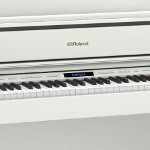 AC-HP603CR The Roland HP 603 Contemporary Rosewood Digital Piano. An excellent piano making use of SuperNatural technology and bluetooth to enhance your piano playing experience. AC-HP603CB Roland HP603-CB Digital Piano In Contemporary Black finish. For those looking for a high quality piano sound and feel just like that of an acoustic piano but with the advantages of digital technology. AC-HP504R Brand New Roland HP-504 in rosewood. 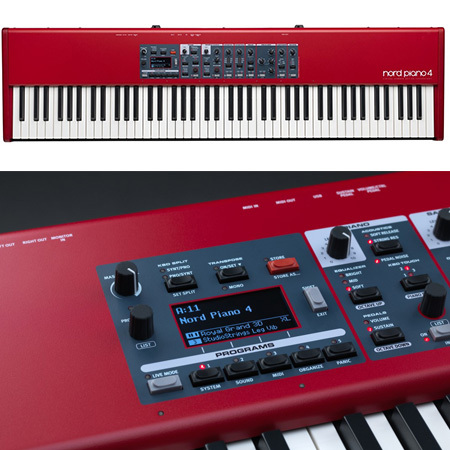 Roland now offer exceptional value for money with exclusive new features and a piano sound second to none. 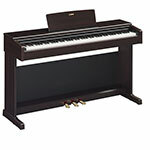 AC-RP401R-RW Roland RP401R RW Digital piano in Rosewood finish with built-in Rhythms. 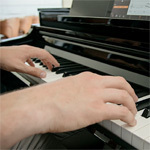 High quality digital piano focused on the learning or experienced pianist. 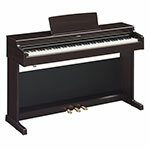 This is the ideal choice for a young family looking to bring a quality piano into their home. AC-HP504Black Brand New Roland HP-504 contemporary black. 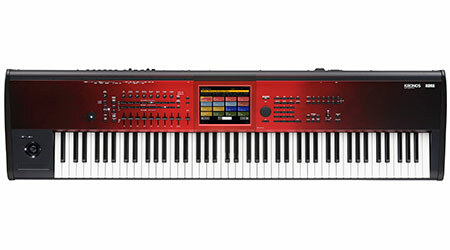 Roland now offer exceptional value for money with exclusive new features and a piano sound second to none. 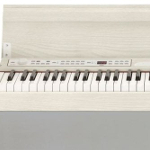 AC-YDP-143B A great instrument for the beginner and developing pianist. 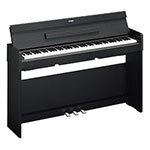 AC-CLP645B Yamaha Clavinova CLP645 Satin Black Digital Piano. 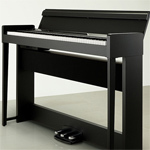 Yamaha CFX and the world famous Bosendofer pianos come as standard in the elegant and stunning digital piano. Finance available. AC-CLP635DW Yamaha CLP635 Dark Wlanut. Great looks and incredible sound with eh CFX piano and Bosendorfer piano. 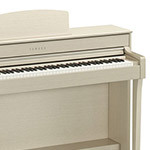 PIano keys offer synthetic ivory keytops for authentic feel. USB connectivity opens up a world of capabilities. Finance available. AC-CLP635WA Yamaha CLP635 White ASH. 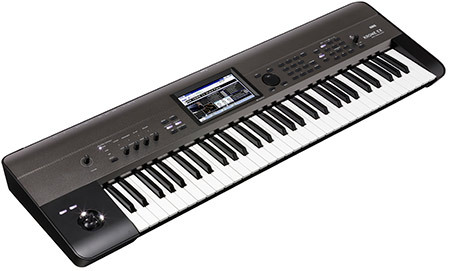 The CLP635WA has great looks with a superior piano sound and feel. 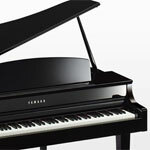 Yamaha CFX and Bosendorfer piano combined with VRM technology for new playing experience. Finance available. Speak to our staff for details. AC-CLP635R Yamaha CLP635 in Rosewood. Yamaha have equipped the CLP635 with some of the greatest piano sounds imaginable. At the push of a single button you can choose between the Yamaha CFX grand piano or the Bosendorfer Imperial Grand. Add USB and iPad connectivity and you have a great piano for beginner to pro. 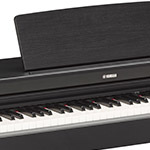 AC-CLP675R The Yamaha Clavinova CLP675 offers truy stunning sound reproduction and advanced technology letting you enjoy the feel and tone of an acoustic grand piano with all the benefits of digital technology. Experience the Yamaha CFX or Bosendorfer grands in stunning detail. Finance available apply online today. 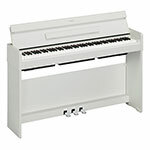 AC-CLP645W Yamaha CLP645 White Digital Piano. Powerful sound and a superb wooden keyboard offer unprecedented levels of versatility to pianists of all abilities. Finance available on CLP645. Apply on-line. 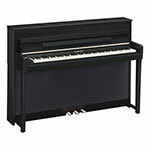 AC-CLP645PE Yamaha CLP645 PE Polished Ebony Digital Piano. With 2 of the worlds greatest grand pianos electronically sampled and recreated in incredible details along with a host of modern features, the CLP645PE is the ideal choice for the modern pianist. Finance available, apply on-line today. 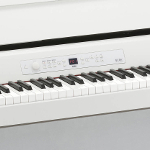 AC-HP605WH Roland HP 605 Digital Piano in White. A premium quality digital piano offering a beautiful piano playing experience and integration with tablets and smart devices. An excellent choice for the home piano. 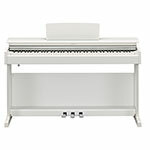 AC-YDP-163W The excellent choice for the developing student and the more experienced pianist. 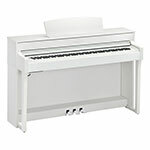 AC-YDP-163WA The excellent choice for the developing student and the more experienced pianist. 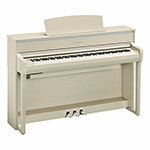 AC-YDP-163R The excellent choice for the developing student and the more experienced pianist. AC-HP506 The brilliant brand new Roland HP-506 features 4 way speaker system coupled with top-of-the-range V-piano technology.